You should be geeking Allomancy. 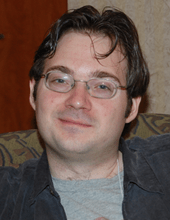 In the world of literature Brandon Sanderson is most popularly known as the man who finished The Wheel of Time but he was chosen for that role because of his earlier work like Elantris, Warbreaker, The Alcatraz series and the Mistborn trilogy. 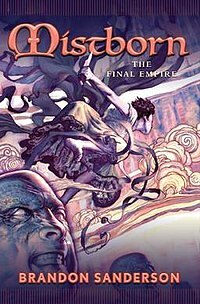 So what is the Mistborn trilogy? In it’s simplest definitions it’s about a world, being strangled by darkness that needs one man, chosen by heritage and filled with courage, to defeat it. It’s a world that for a thousand years has lived in wasteland filled with ash and mist and ruled by an immortal emperor called the Lord Ruler. What naturally spawns is a revolt, despite that every revolt in the past 1000 years had failed, to take down the Lord Ruler. This latest revolt, led by a man named Kelsier, is not approached like a Lord of the Ring or Star Wars rebellion. It’s not heroic men and women in massive battles facing odds beyond their favour. Instead Sanderson writes this book like heist movie. The first book is most accurately described as LoTR (for it high fantasy) meet Ocean’s Eleven. Kelsier is part con-man, part eternal-survivor and part wizard. He’s like a magical George Clooney. 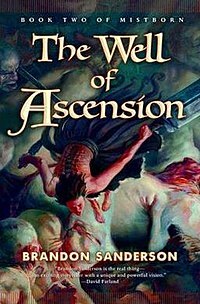 The Mistborn trilogy, which is now more accurately called a saga, has Allomancy, a highly unique form of magic. Allomancy is defined as the ability to “burn” (or use) ingested metals, thereby enhancing various physical and mental capacities. For an additional burst of power, an Allomancer may burn their metal(s) especially quickly, consuming them at an accelerated rate, but gaining greater benefits from them; this is referred to as “flaring” metals. In short you swallow small chunks of metal, drain them of their power, and gain buffs from it. Iron lets you pull metal to you, steel lets you push them away, tin lets you increase all of your senses, pewter lets you increase your speed, strength and durability. Zinc lets you inflame the emotion of nearby people while brass helps you sooth them, cooper helps you hide from other Allomancer while bronze helps you search them out. The metals works as pairs, one cancelling out the other like a game of rock, paper scissors – or rock, rock, rock. People who can use all eight metals are Mistborn, people who can only use one are misting. The books are amazing. By whatever means or burning metal Brandon Sanderson uses, his words paint a world so devoid of life and possibility but still brimming with that spark of hope that exists in all of humanity. This is a series not to be missed. What we are looking at is the early days of an epic fantasy series being born into the world. The series, which started out as just a trilogy, has spawned into a franchise. With a fourth book being published, a fifth on the way, and even an RPG system spawning from it it’s safe to say that Mistborn isn’t going away. No matter how much bronze you burn, we all know it’s here. This entry was posted in Books, Geek This, Tome of Geek and tagged allomancy, allow of law, Books, Brandon Sanderson, Fantasy, geek, geek this, halcon, kelsier, Mistborn, novels, vin. Bookmark the permalink.